This beautiful quality cotton lawn fabric is super soft, light weight and perfect for making shirts, tops, blouses, skirts, dresses and more. 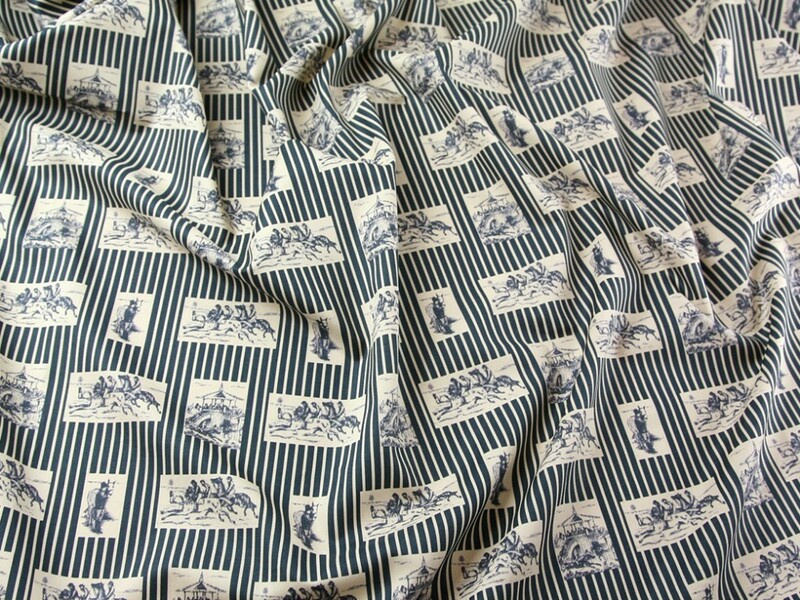 This fabric design is very unusual. The stripe background is very bold and striking and the little motifs are filled with different pictures of horses and horse riders. The fabric overall has a very vintage and nostalgic feel.